Forever Proud. Forever Strong. Forever Indians. Picture retake day for all students and staff will take place on Friday, October 26th. Herff Jones will be presenting the information on cap and gown ordering on Thursday, October 25th to all seniors. This will be a very informative meeting that all seniors need to attend regarding graduation!! The PSAT test will be given to all sophomores and juniors on Wednesday, October 24th. Fall Break will be October 6th through October 21st. Stay safe and enjoy your break! I bring you greetings on behalf of The Indianapolis Black Alumni Council, Inc. (IBAC). For over 39 years, one of the main goals of the Indianapolis Black Alumni Council, Inc. has been to promote and encourage local high school students to attend historically Black Colleges and Universities (HBCU's).We are inviting you and your students to participate in our 39th Annual Historically Black Colleges & Universities College Fair Program on October 4th & October 5th at Crispus Attucks High School, 1140 Dr. Martin Luther King Street, Indianapolis, IN 46202. Our 39th Annual HBCU College Fair is October 4, 2018 from 6:00pm - 9:00pm and our Scholarship Opportunity Network is October 5, 2018 from 9:00am - 12:00pm. 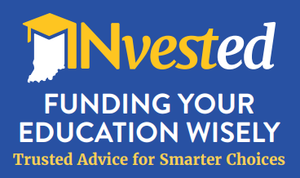 INvested Indiana is a free resource made available as you and your student plan to pay for college. Here is what you and your students need to know for this week's Homecoming activities. 2. Dance tickets for AHS students can be purchased starting Monday, September 24 during lunches. Tickets cost $8. 3. Dance tickets can also be purchased at the door the night of the dance (September 29) for the same $8 price. 4. The Homecoming pep session will take place during the school day on Friday, September 28. Time TBA. 5. The carnival will take place on Friday, September 28 from 5:00-6:30. If you plan to have a booth at the carnival please let Alan Landes know before September 21. 6. The Anderson Indians will take the field against Arsenal Tech at 7:00 on September 28. 7. Spirit dress up days will be the week of September 24th. Help generate enthusiasm and support for our Indians football team by sharing this information with everyone! Reminder - The Gates Scholarship (TGS) needs your help in identifying America’s top minority students. Phase 1 of the application is due on Tuesday, September 18, 2018. Please click the link below and follow the instruction to refer a student in your area who may be eligible for this prestigious scholarship. You can also share this opportunity on social media by posting this image. Additionally, a student must plan to enroll full-time, in a four-year degree program, at a US accredited, not-for-profit, private or public college or university. *For American Indian/Alaska Native, proof of tribal enrollment will be required. For additional information, please visit our website and watch the video below. We thank you in advance for helping us identify exceptional candidates, and we wish your students all the best in the application process! 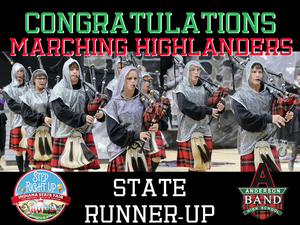 ANDERSON MARCHING HIGHLANDERS PLACE 2ND IN STATE FAIR BAND DAY!! This past weekend, the Anderson High School Marching Highlanders competed at the 72nd Annual Indiana State Fair Band Day Competition. 43 bands from around the state competed in prelims and 16 advanced to the "Sweet Sixteen" night show finals. AHS earned 2nd place at both the prelims and finals. At the night show, they won the Visual General Effect caption. This makes the 61st time that the city of Anderson has had a band in the top 5 at State Fair Band Day. Congrats to the students for their hard work in the heat this summer and for representing our school and community with class and an excellent performance. Indiana University Bloomington is coming to a location near you! What are the admission standards? Can I get a scholarship? Does IU have the major I’m interested in? Students will also have the opportunity to connect with IU representatives, as well as other prospective students who may be their future IU classmates. Thank you for your support of Indiana University! We look forward to continuing to work with you and your students during the next school year and beyond. If you have any questions, please contact me at mixonl@iu.edu or (812) 855-5516.